Australian artist Lachie Hinton will discuss his current Takt project On the Refugee Trail to Europe, sharing experiences and stories from his recent trip to refugee camps in Turkey and Greece. 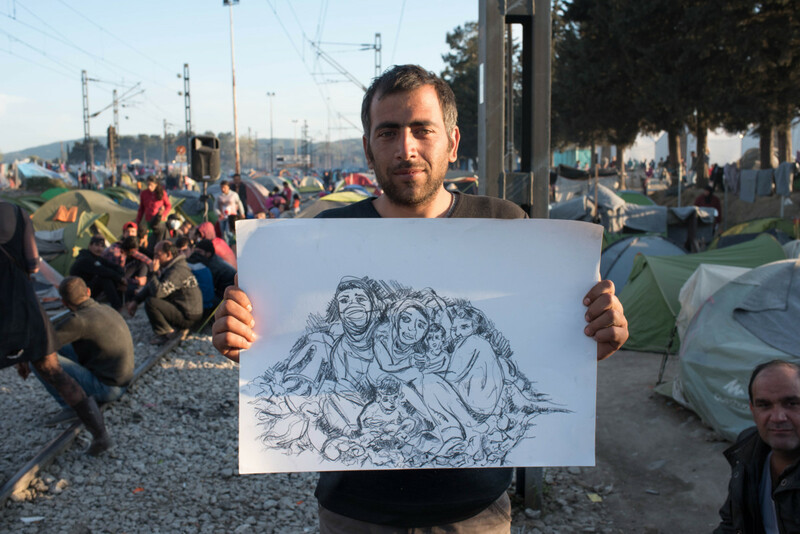 Visiting key areas such as Izmir, Chios, Lesbos, Athens and Idomeni with a camera and sketchbook, Lachie will illustrate how he translates fieldwork photographs and drawings into large-­‐scale paintings. His images seek to convey the sufferings and desperation experienced by people fleeing civil war and persecution, emphasising the need for humanity in response to the refugee crisis.